I apologize for my long absence on the forum. I seem to have very little time to get on the computer. I am still working with ctenosaura. Ty informed me of the recent misrepresentation of my photos. All I can think to say is always get verifiable photographic proof. I feel fortunate I make my living thru farming. Reptiles is a hobby I enjoy so I honestly represent what I have for sale. Not everyones moral compass points TRUE north. That being said not all dealers are dishonest but do your research. Evian I would also like to apologize to you and others who have tried to contact me and been frustrated. 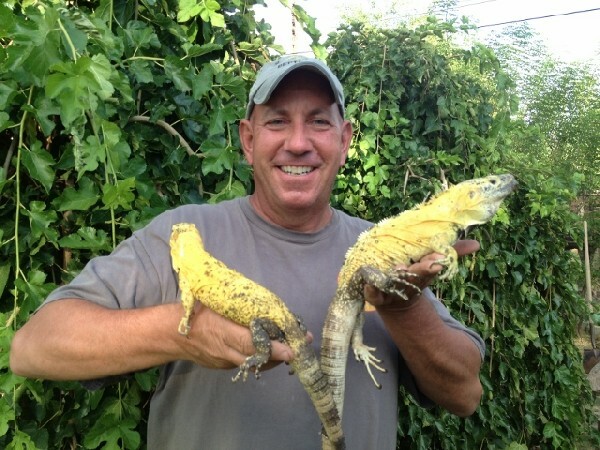 Between work, family,reptiles and other interests I have taken the easy road and have sold them overseas. (Not to mention needing my wife to get this on the Kingsnake)If you dont believe me ask anyone who knows me. my skills lack and I am ID10T challenged. I guess in the future I will try to figure out how to mark my pictures. But right now I dont know how so heres another picture. The goof in the picture is me.